This is your normal "white wrapper" entity: it's of known origin, its age is probably a guess, but it turns out that the tea is very decent. Let us not get ahead of ourselves, however. 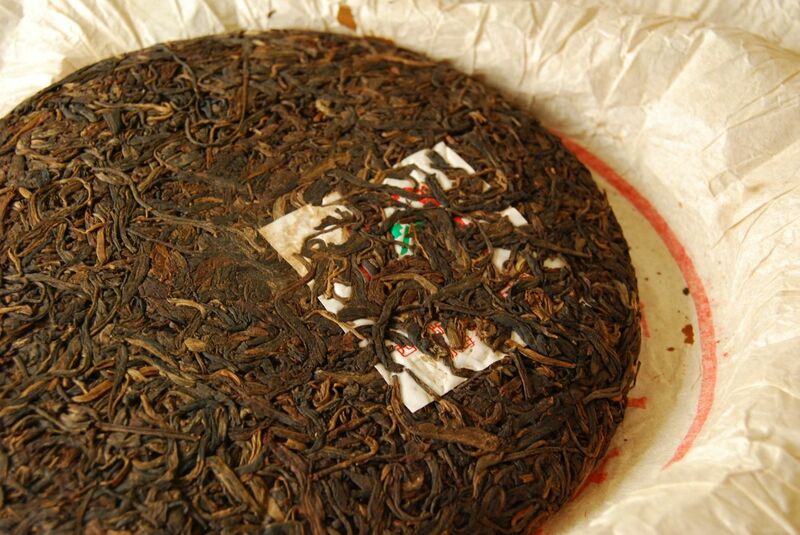 What you probably cannot see here is that the tuocha is rather small, being just 100g. It was a mere £7.50, which is deeply inexpensive for something that might have some age. I admire the fair pricing. This tea was at the recommendation of TG, my friend from East Anglia, and he certainly knows his onions. And his pu'ercha. 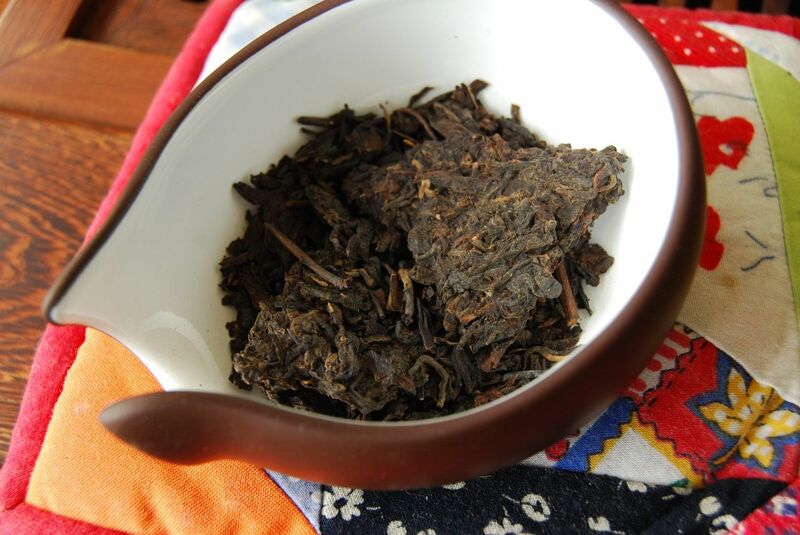 The healthy little leaves have a shicang [humid-store] aroma, and they are dark (and perhaps even a little dull) on the exterior face of the tuocha, as if the humidity had been intense. I expect, from their appearance, that they are a touch younger than "1990s", but that is not terribly important. Far more important is the fact that the orange-red soup carries the flavour of pure, sweet mould that reminds me of the Hunan Fuzhuan that I loved back in July. 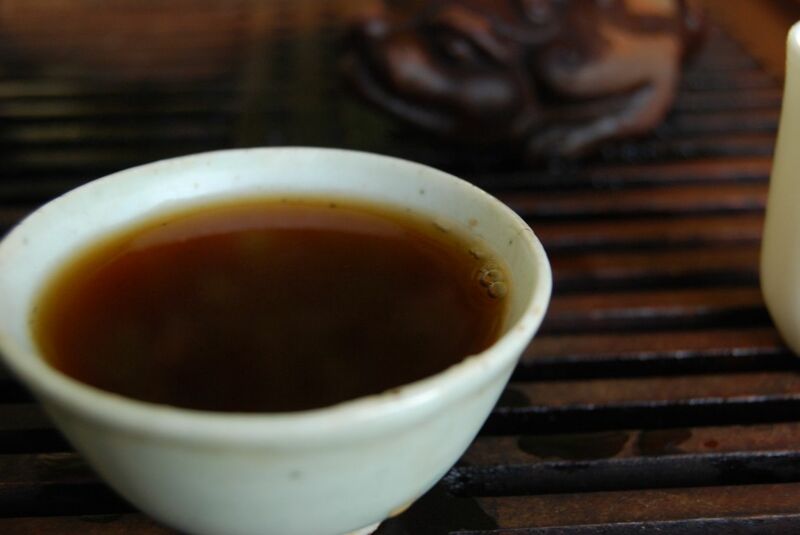 The body of the brew from this tuocha is silky; there is little huigan, just the dark, raisin-like flavour of sweet mould. The humidity has been a bit extreme (hence the dull surface): all that is left is the fuzhuan mouldiness, and so it tires early. It is cheap and quite cheerful, though. 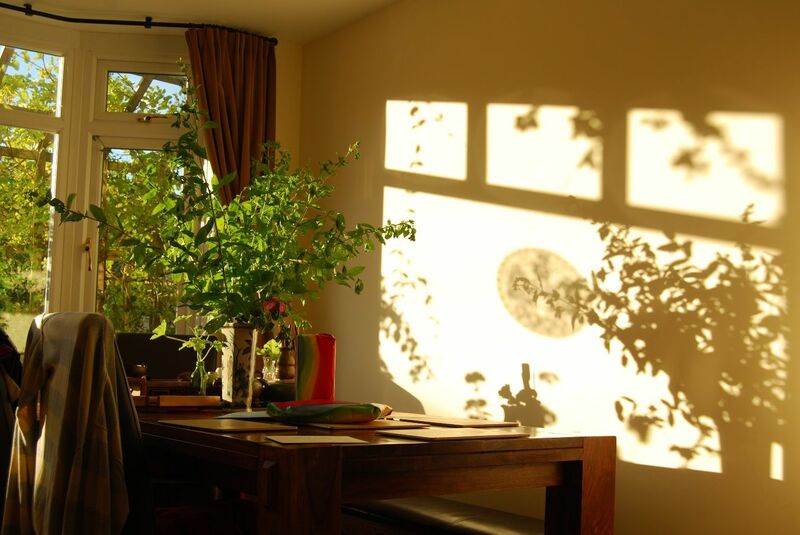 This loose-leaf tea looks rather tasty, as you might agree from considering the photograph below. It has the chocolate colour of old maocha. 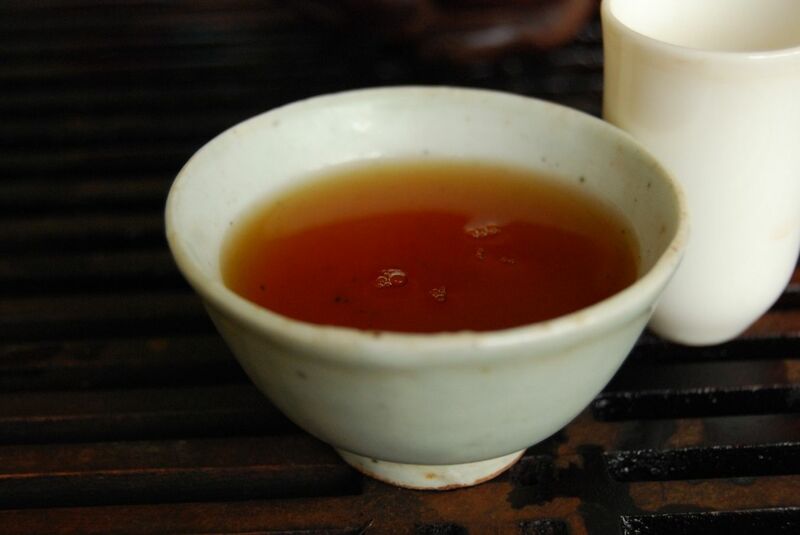 Even though the first infusion shows that the tea is not yet fully awake (which is unusual for maocha), the initial aroma is solid in its sweetness (if short-lived), while the soup is soft and rounded. 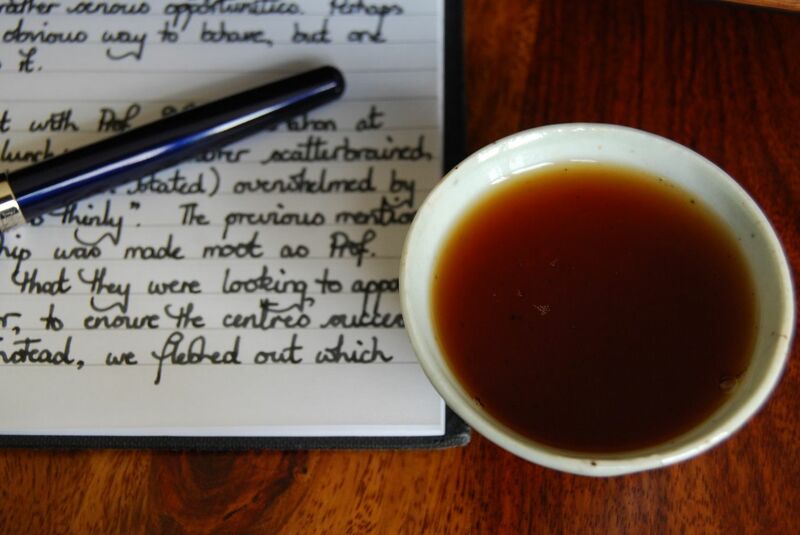 It transpires that this tea is not very thick, and that it requires some long brewing to get proper "tea" out of it, but the result is excellent: as pictured above, we find ourselves with a fantastically dark soup. 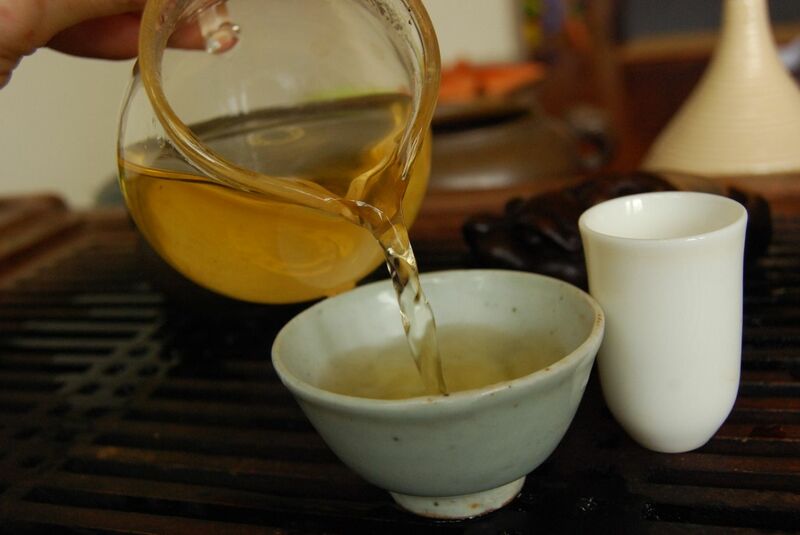 Brewed long and hard, with lots of leaf, it is tarry and sweet, while always being soft and comforting on the stomach. 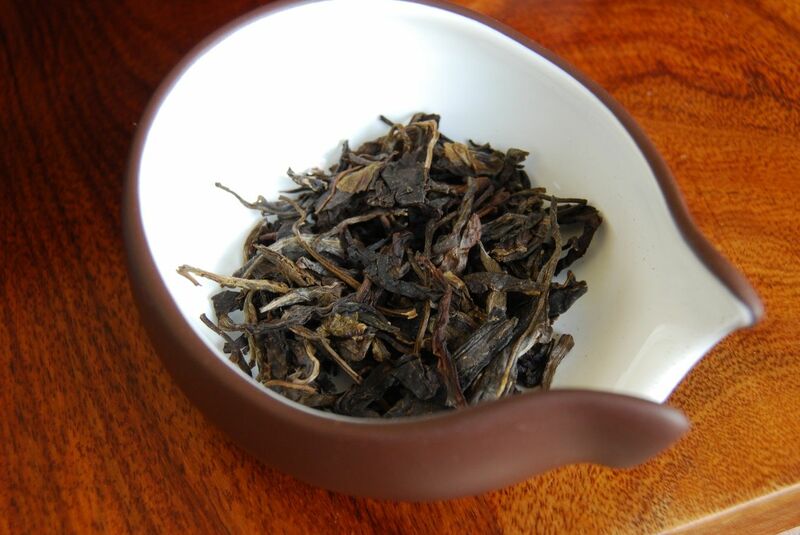 Yes, it is weak, in the way of most aged loose-leaf pu'ercha, but you can always add more leaves. Under-the-tongue dark sweetness prevails. 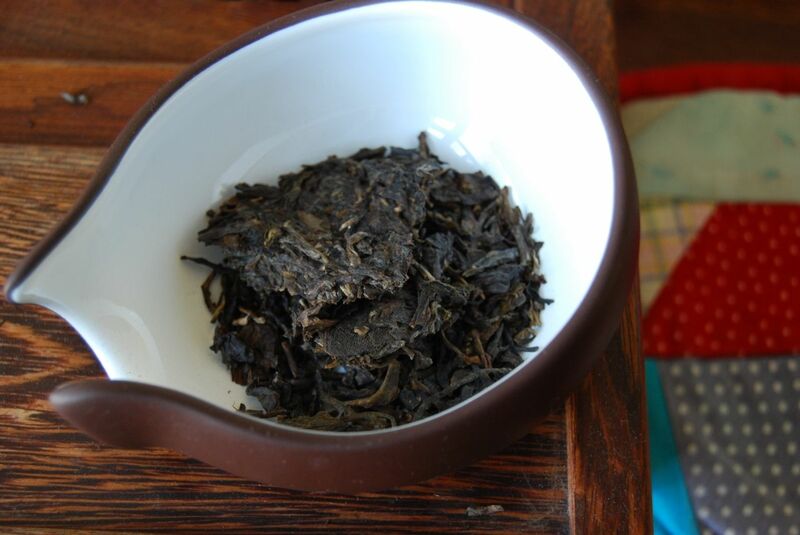 At the end of the session, I have used quite a lot of leaves, and so I pop them into a container and take them to my lab for extending brewing as a "background" tea. 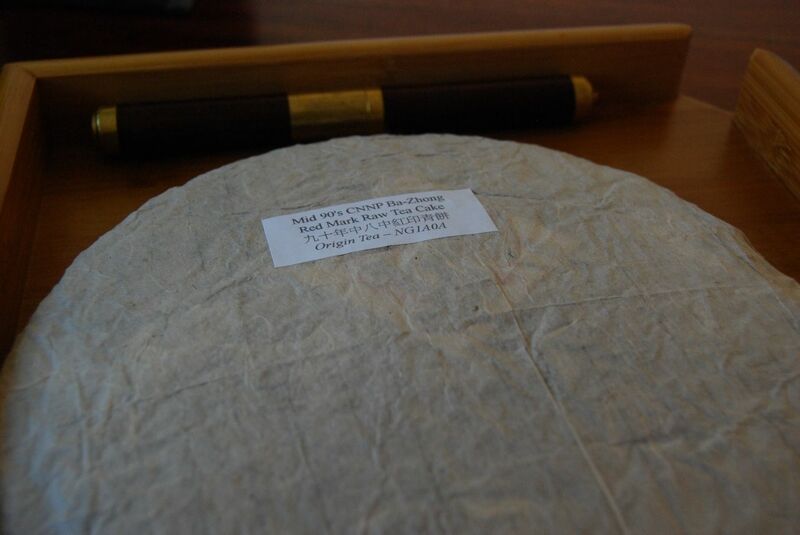 This one is priced at £70 / 300g. Not cheap, and probably from the 1990s rather than the 1980s, this is worthy of comparison to unaged modern shengpu. 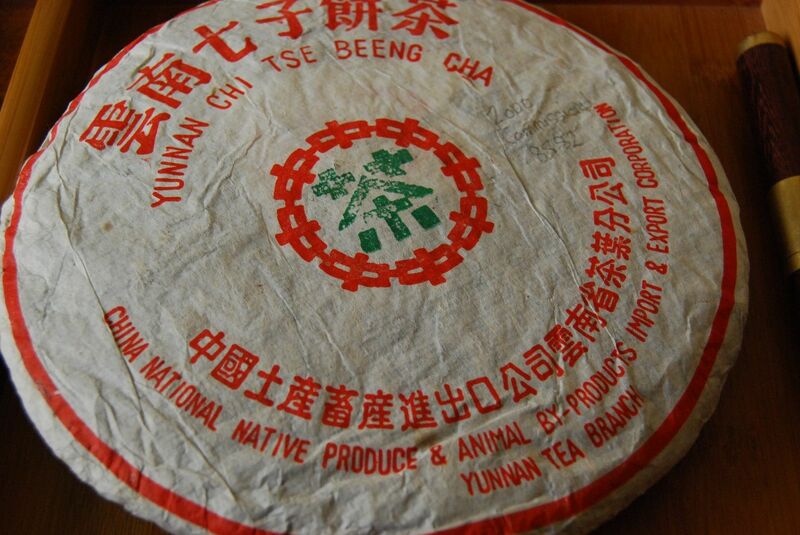 Changing gear, but staying in the 1990s, I'd like to include another humid cake - this time from white2tea. The leaves do, indeed, seem as if (i) they hail from the 1990s, and (ii) have been through Hong Kong. There's a good chance they were there in Hong Kong when the British were, in fact. The dear old chancellor of our university, the Lord Patten of Barnes, often likes to talk of his time as governor of the Fragrant Port, and he speaks with genuine affection. This is sharp, potent tea. It is thick, dark, and red, as you will conclude from examination of the image below. 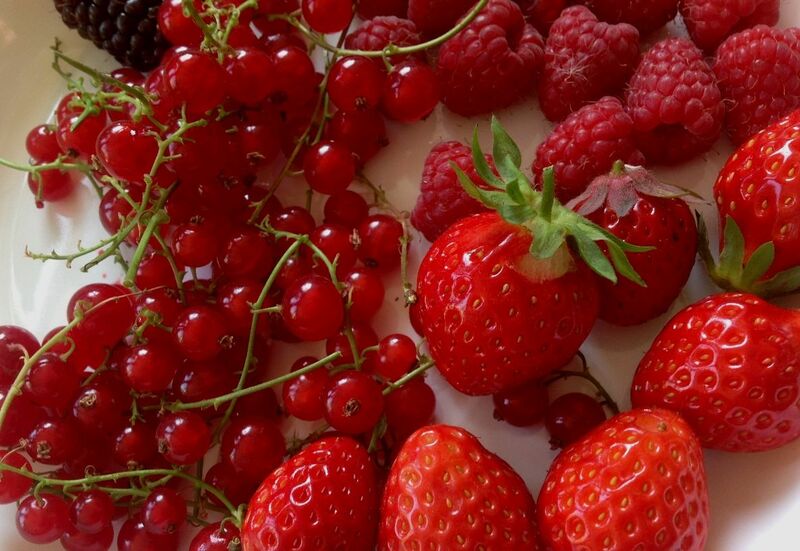 The sharp sweetness dwells under the tongue for whole minutes. I am reminded that Mr. Dog does seem to know his way around a teapot. Amusingly, his label notes, "I have been CHUGGING this lately". I can see why. It is eminently chugworthy. 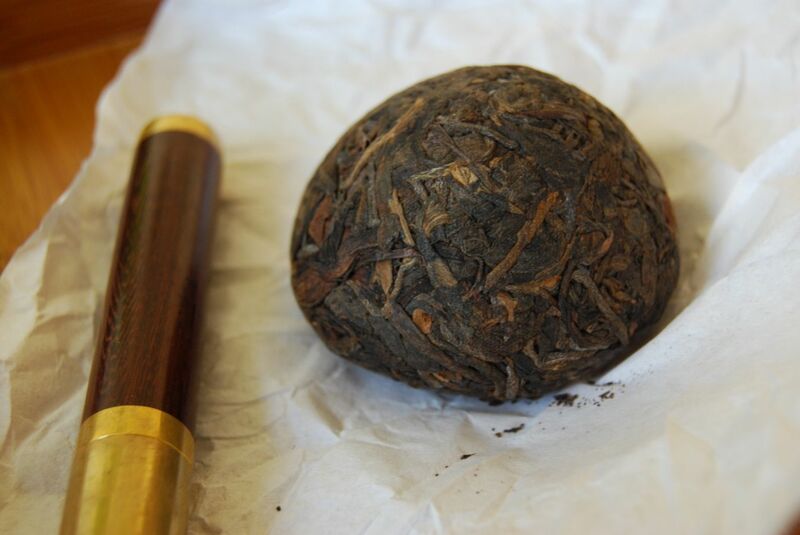 I enjoy its density and cleanliness, which is admirable for old HK tea. 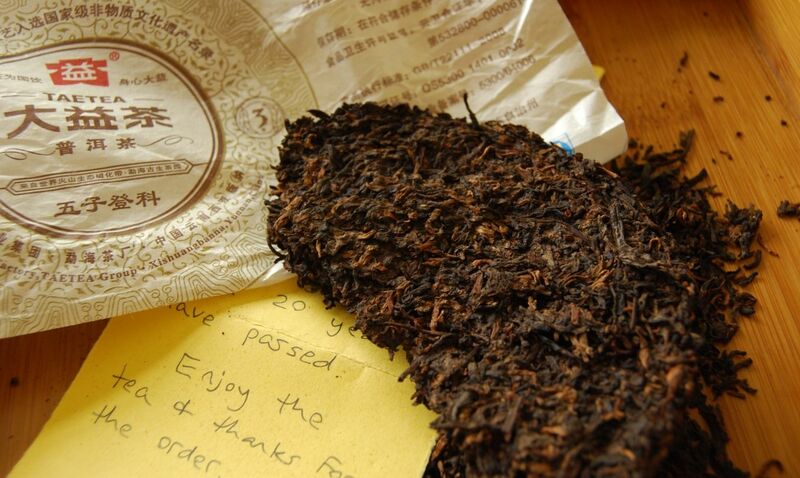 There is no shicang [wet store] character, as if it had been aired out, but it has the thick tar-like profile of tea aged in significant humidity. 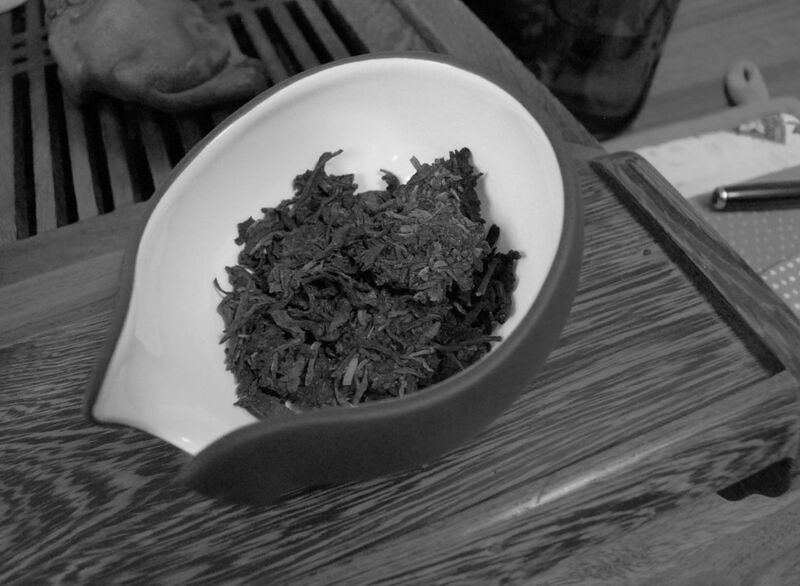 This is a session with the 1980s maocha. The close, sweet humidity of the extraordinarily long leaves is calming. I feel a little dizzy after being woken at a very early hour by dear Xiaohu. 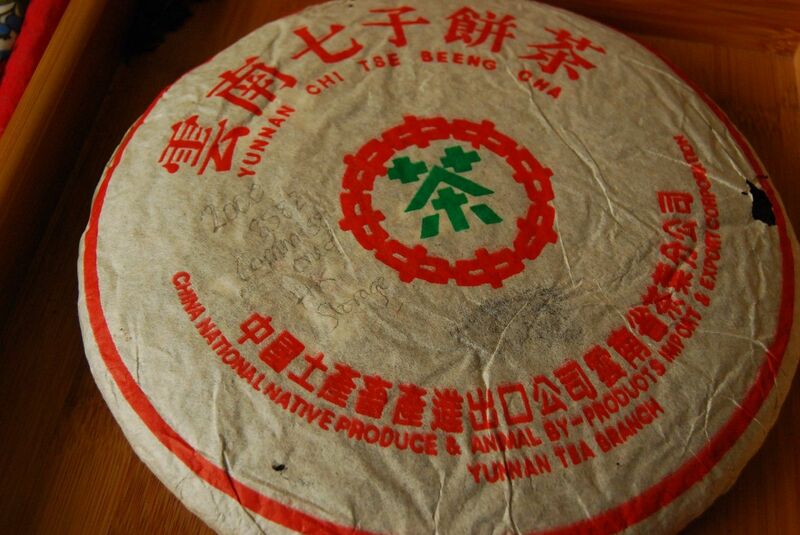 This is a good tea, for old maocha. Not weak, as one might expect, it is instead energetic and (damply) sweet. Even its deep, red soup is reassuring. If all goes well, Gentle Reader, then you are reading this while I am on the way to the Fragrant Port. I'm not entirely sure which fragrance modernday Hong Kong sports at this time of year, but I suspect that "fragrance" might be a little generous. As it happens, this article is all about The Dayi, and one of my Hong Kongese chums, Apache, is about as into Dayi as I am. We're not fanboys, I should point out, but we do get together from time to time to drink up the "Great Virtue". 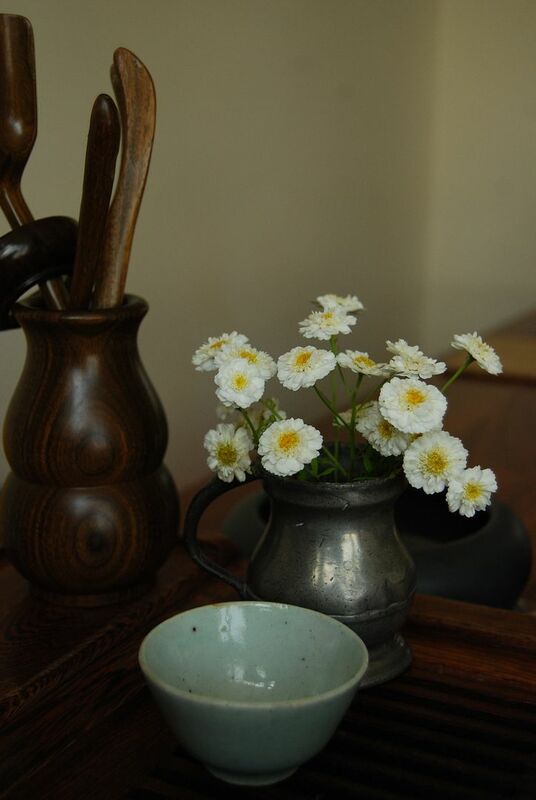 There are people like us, who enjoy a bit o' Dayi, and there are the other kind of Dayi fans - those folk who can tell you all about the way certain flecks of ink on certain characters indicate special batches, and so on. 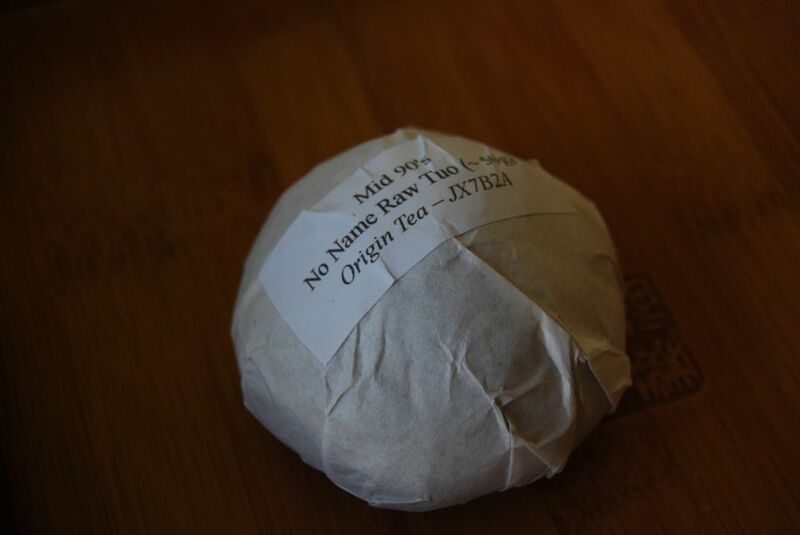 This tea came from the now-defunct Origin Tea, by way of JT (many thanks). 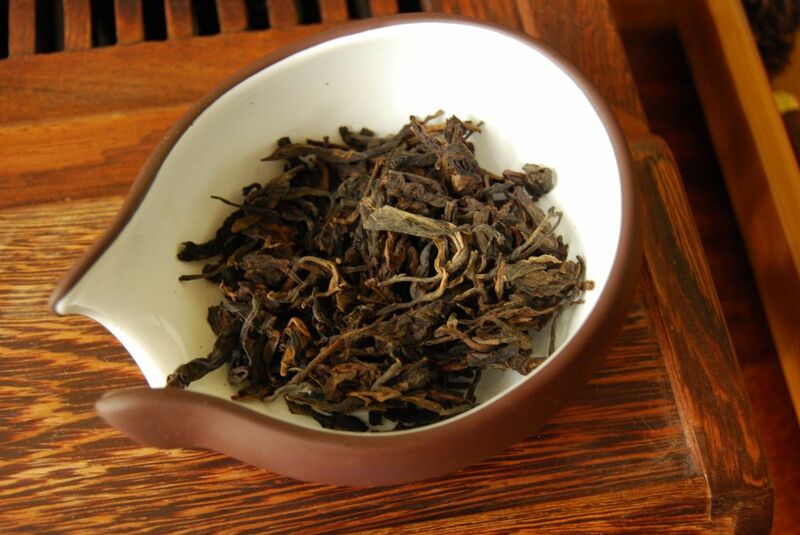 2001 Banzhang "Wild"? Of course it is. Looking at the photograph above, this tea is as expected. You can almost smell the tell-tale blackened plantation aroma just from the bitmap. It is exactly that which you would anticipate for Dayi. I am fascinated to see that the stereotypical "Dayi" house style existed even in 2001. It is orange and husky, but you knew that. This is a sharp cake, with some (ready the lifeboats, stand by your bunks) dry storage. Queue pictures of Luke Skywalker holding onto a weathervane. Luke didn't have it so bad. He lost a hand and the Sith Lord that was doing the Emperor's dark bidding turned out to be his father, sure, but he didn't have to cope with excessively dry tea. I'm not a fussy drinker, and I can drink everything from a cake that's so humid even your average Hong Kong resident wouldn't touch, all the way down to something that's as dry as a Jawa's gusset. In this particular case, it has a solid body, but absolutely no huigans at all. There is simple, plantation strength, but not too much else. Yes, it's Dayi, but (and don't hate me here) it's really not the best example of Dayi that you might hope to find. This next cake is the 2003 Dayi "Purple". Foiled! The colour balance of my pre-dawn photography was so unalterably nasty that I simply had to desaturate the entire image. At least you can see the shape of the leaves. 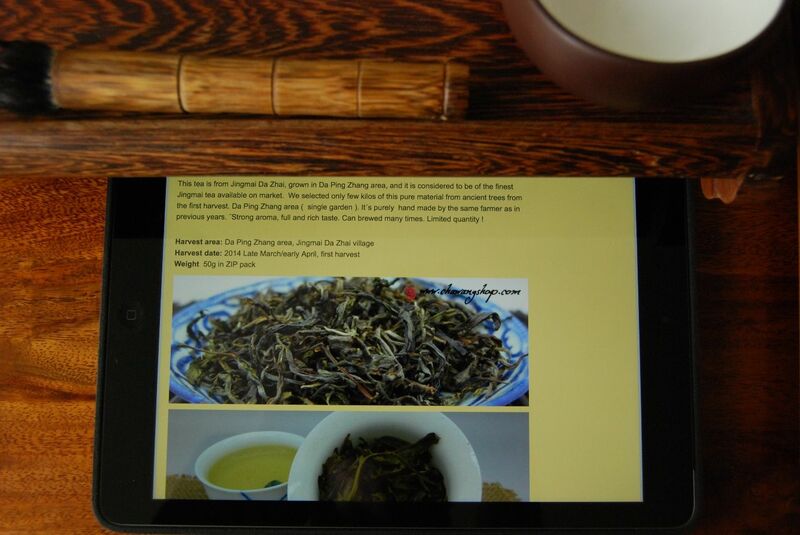 This second plantation recipe, like the 2003 Jin Dayi, has become very expensive. 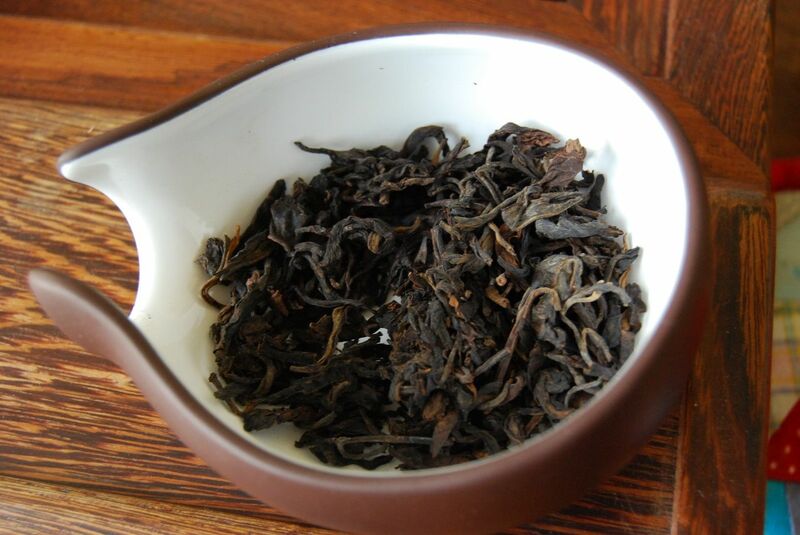 As with the 2001 Orange Banzhang, above, this is blackened and sweet in the usual Dayi way. This cake is also a victim of basic economics: the demand is so high that the price has risen way beyond that which I would consider to be "good value", and has passed even beyond "almost reasonable". 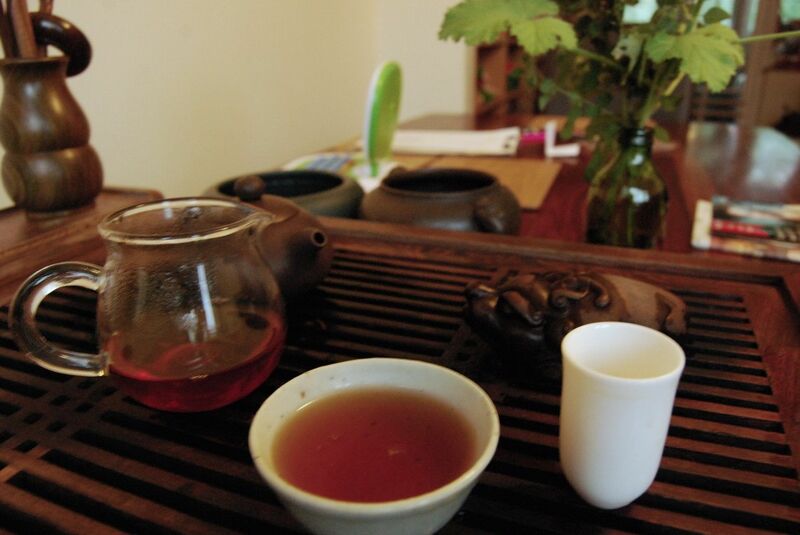 It is, merely, a husky Dayi plantation tea, without much huigan [returning sweetness]. It is good plantation tea, certainly, but you couldn't buy this with a straight face. This is internet forum madness, and not worth contemplating. The 2001 "Commissioned Purple", however, is really worth thinking about, in my opinion. That picture is enticing. I am enticed! Dark and humid, these leaves are calling out for a good session. The "commissioned" status lifts it above the norm, quite obviously. Gone is the husky blackness of standard Dayi; in comes the very real scent of grapes and raisins. This smells much more natural. This is red-brown, and very smooth. Compare this 2001 Commissioned Purple to the 2001 Orange Banzhang, at the top. It's like chalk and cheese; heaven and earth; Optimus Prime and Megatron. I used all of the leaves in my sample, safe in the knowledge that it would be almost impossible to overbrew, which turned out to be correct. It is dark and oaken like dodgy Norweigan metal. Devoid of roughness (unlike the aforementioned Norweigan metal), this is made from quality leaves. This is surely about as Dayi is ever going to get. Its pure strength is its primary advantage, but it is the punch of an Ent: woody, solid, and completely unstoppable. Please, contain yourself, Gentle Reader, for such wailing is most unbecoming. You sound like a schoolgirl. I will have you know that I actually like shupu. I often drink it in my lab, and I sometimes even drink it at home at the teatable. Shupu is fine by me, when done right. Doing shupu right is exactly what Dayi knows. When you want shupu, you go to the people who invented shupu. "Wuzidengke" [woo-zer dung-ker] refers, approximately, to five sons passing the examinations for the Imperial civil service. It's a great name. 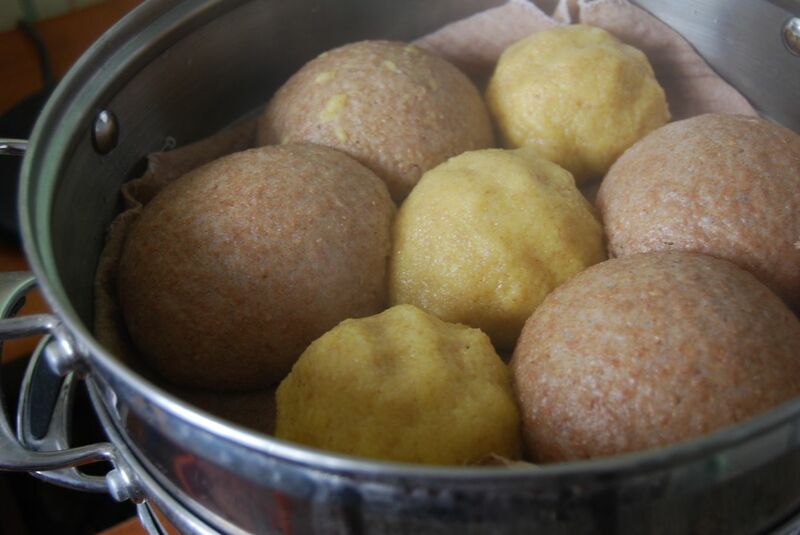 It's also a great pu'ercha pun, because a tong is called qizi, as you know (seven sons), referring to the seven cakes in a tong. Guess how many little cakes you get in the (metallic) tong casing here? 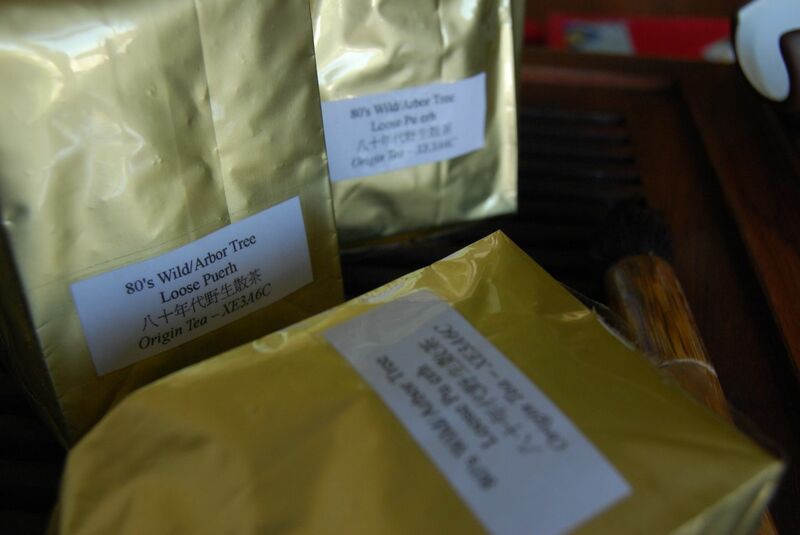 PM of white2tea sent me a sample of this, as you can see in the photographs above, and I promptly swooped like the vulture I am and acquired a groovy metal tin. It weighs in a about $70 for the lot, which is really good value considering how awesomely stable this shupu can be. Heavy, black, clean, fresh, husky, and sweet: Dayi are the unbeaten masters of shupu, and here they are on fine form. 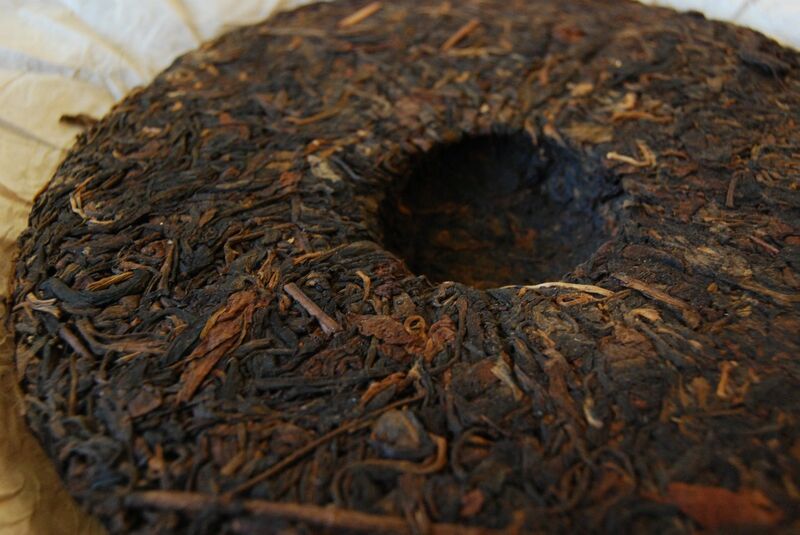 It has the soft, eroded edges of shupu, but retains good strength - a marvellous piece of composting. There is complexity the likes of which one would never expect: honey, and much in the way of vanilla softness. 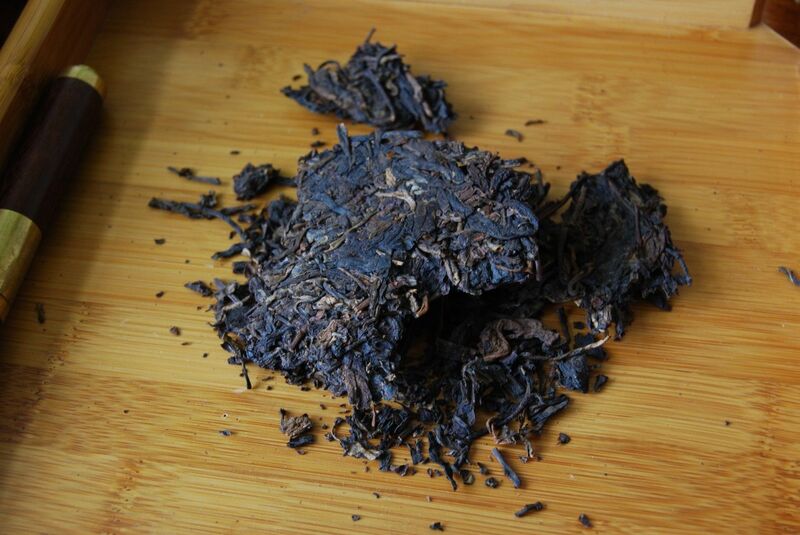 If you're doing shupu, then do please try a sample of Wuzidengke. The name is hard to forget, and it is a personal favourite. I like "American Football", as it's called in my country. My friends, family and colleagues, upon learning this, tend to scrunch up their faces as if I'd just told them that I enjoy watching paint dry. The usual comments are to do with "coddled players who need nancy-boy armour" (by which they are comparing players of American football to those of rugby, another sport that I adore), and "You must like watching advertisement breaks, then." I understand those comments. What they are missing, however, is the sheer complexity of American football. It's like chess. The offence is arranged perfectly, from a coordinator in a rooftop box, to overcome the defence; likewise the defence is attempting to optimise its way around the offence. Typically to sack the QB. Any sport where one team is hell-bent on "sacking" anything has to be worth watching. The reason that I mention this is that the scoring of three points in American football is typically accompanied by the commentator (we'll call him John Madden for now) yelling "IT'S GOOD", as the ball (which has been kicked from afar) sails through the uprights (i.e., the goalposts, which do at least look like those in rugby). When I drank the teas described in this article, over a period of a few days, the words of John Madden kept coming to mind: IT'S GOOD. 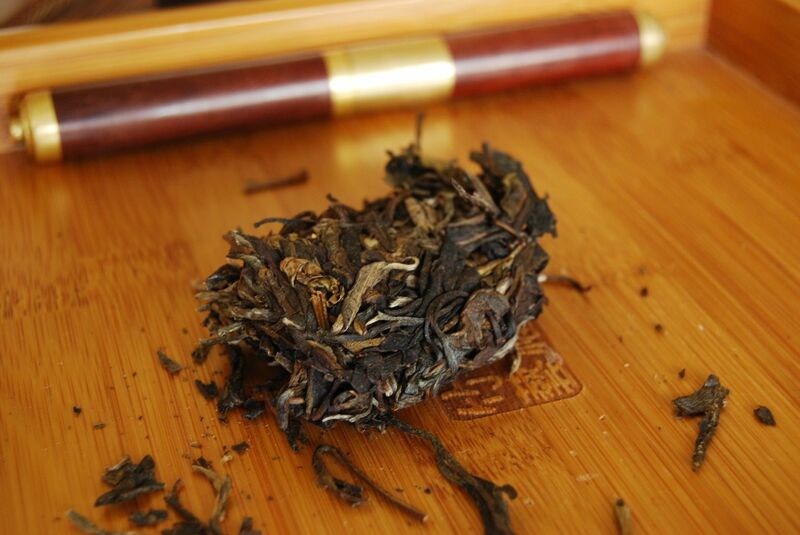 First up, the 2014 "Jingmai Dazhai" [big village] from Chawangpu. Now, don't get me wrong here. 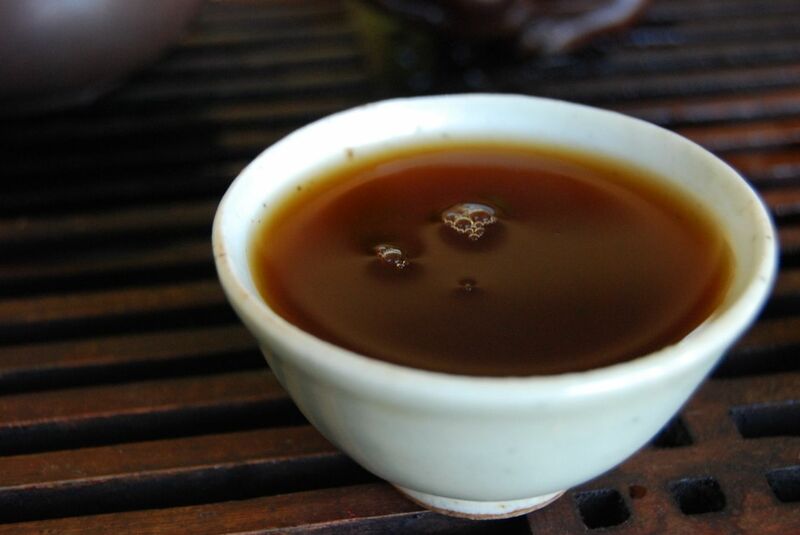 In no way at all, in what follows, am I saying that people who like Jingmai tea are people with no taste. I mean absolutely nothing to imply that people who like Jingmai tea are somehow lesser organisms, one step removed from the protozoic algae that drink "caramel-hazelberry-nipplespank oolong" from Whittards of Chelsea. What I am saying is that Jingmai is "accessible", and usually enjoyed by a wide range of people. I do not mean to hint in the slightest that such people are newbs, nor would I ever state that they wouldn't know good tea if it slapped them upside the head. What I am saying is that Jingmai is the kind of pu'ercha you can give to your elderly relatives, and that they will nod and say "That's nice, dear." If that's your definition of good tea, then so be it, young Jedi. 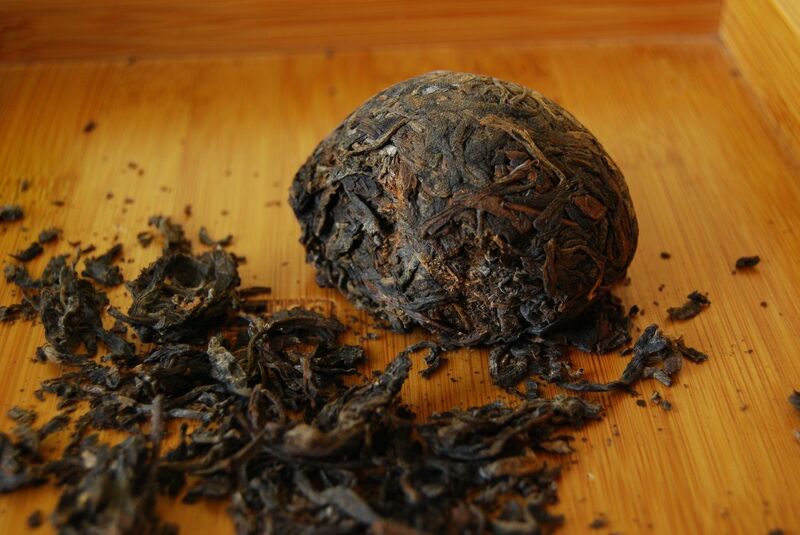 This is maocha, and it comes from Honza of Chawangpu. Or, "The Honz", as he's known to fans of dreadful 1960s American sitcoms. I imagine The Honz turning up to Jingmai on his, let's say, Harley Davidson, sliding one leather-clad leg from his motorcycle, and leaning casually up against the front porch of a tea farmer, before saying "Ayyyy". 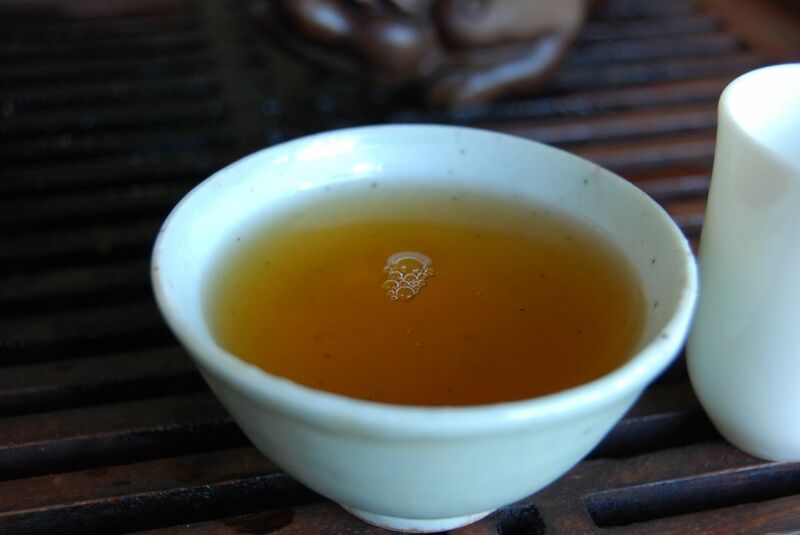 This practice clearly bears fruit, because, against all the odds, this Jingmai tea is really nice. 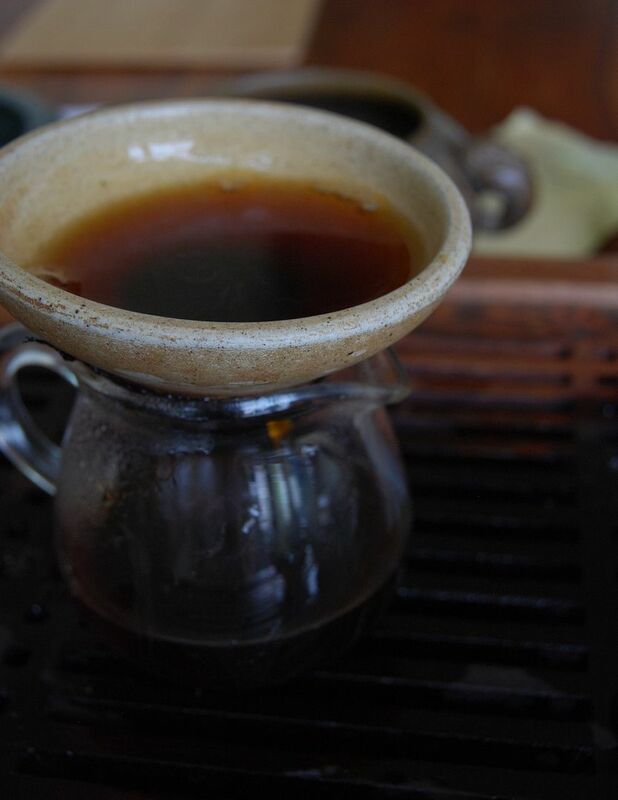 The fresh, buttery scent suggests recent processing, and that means The Honz and his Harley must have been in Yunnan recently. The resulting brew is clean, penetrating, and darned sweet. 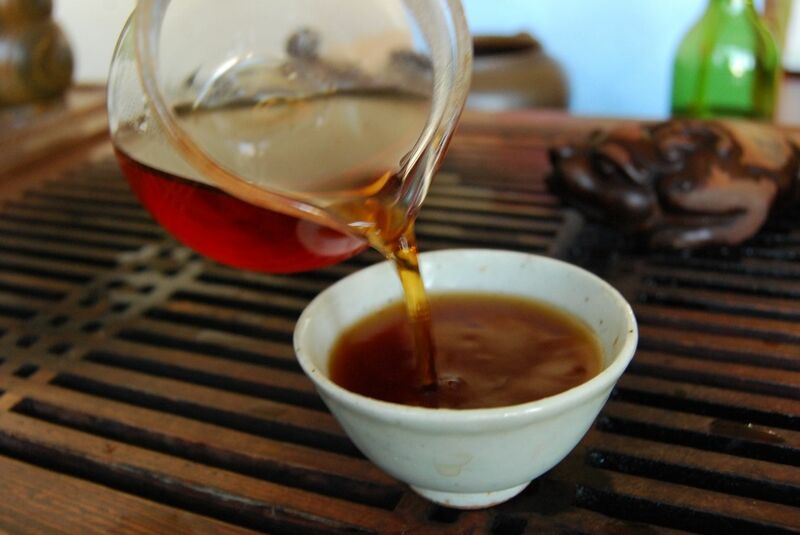 In keeping with the region, it has the "lanxiang" [orchid scent] that your grandmother really enjoys; however, this time, Granny was right: it's good. Or, in the immortal words of John Madden: IT'S GOOD. Thick and sweet, it lasts well, and packs some kuwei [good bitterness]. I am left with a surprisingly positive impression that I would never have expected. Surprises are like that, I suppose - if you expect them, they're not really surprises. At $16 / 50g (or $115 per 357g equivalent, fact fans), it isn't cheap. 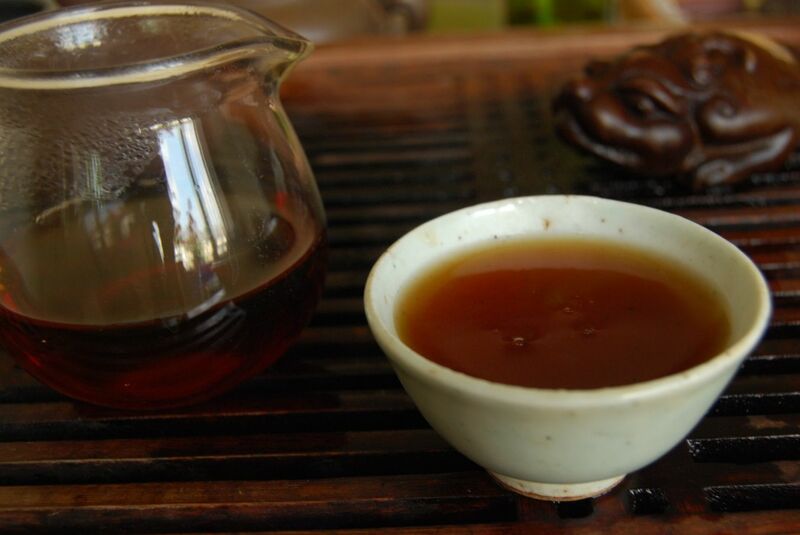 Given that maocha isn't anyone's best bet for aging, you'd need to be drinking this for maocha-related, unaged-shengpu kicks - and for that, I refer you to my opening comment about Jingmai. 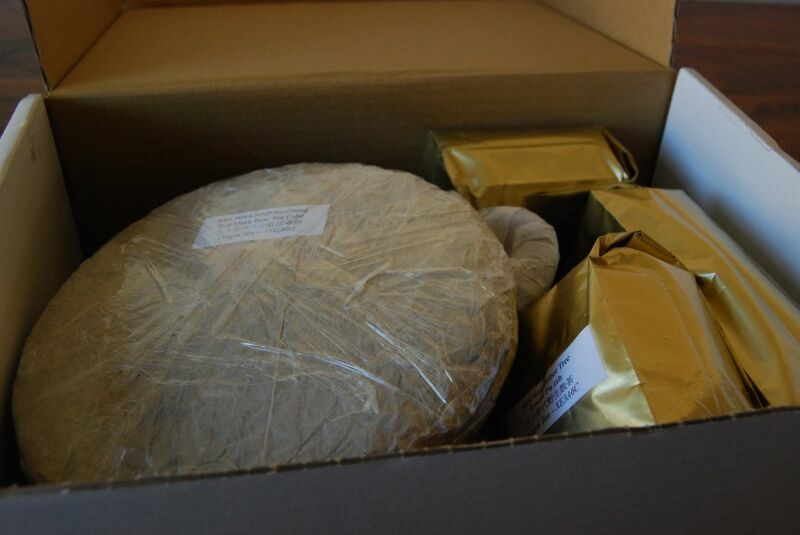 Putting the newbjuice to one side, we break open some serious tea. This is the awesomely-entitled "Chawangpu Hehe", where the latter, thanks to whoever standardised Chinese pronunciation way back when, is actually spoken more like "her-her". However, in keeping with the presumed pun, I insist upon reading this as "hee hee". "He makes the weapons - I use them." I think there's a lesson for us all in those wise words; thank you, Wesley. You are way ahead of me, Gentle Reader, for I can see your foam-flecked lips, covered in spittle like the effusive saliva of the rabid dog that you are. Fear not, Old Friend, for tea such as this makes rabid dogs of us all. I am just the same when I look at the photograph above. It's like Pavlov's dogs over here. Wiping away the drool, I warm up the kettle and get some hot water on those charming little beauties. Yellow. Sugary. Caramelised. Yiwu-sweet. Menghai darkness. Soapy smoothness. A small number of those terms would be sufficient for me to enjoy this tea; to have all of them at once is almost showing off. This is not a grand tea, but, let us ask John Madden what he thinks of this tea. He's thinking... he's stroking his multiple chins... he responds: IT'S GOOD. And so it is. 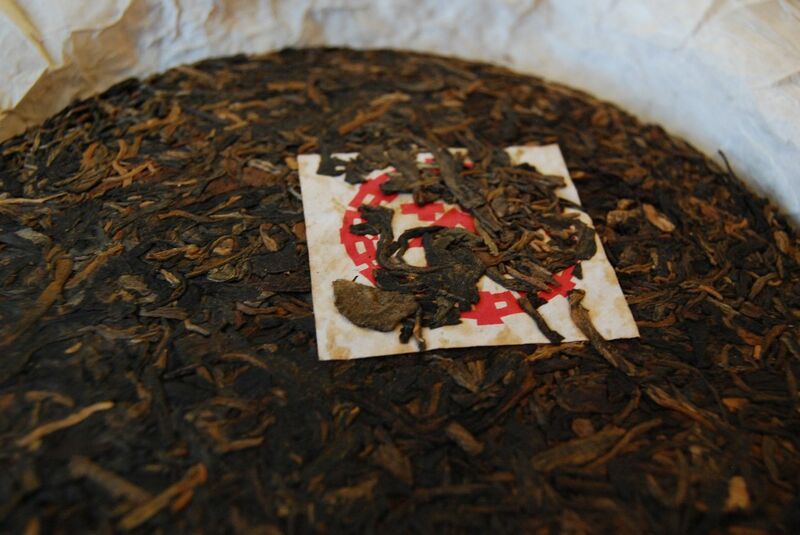 The best is yet to come, however, for this punchy little vampirekiller is just $17 / 200g, which reminds me that The Honz is one of the few people left on the face of this dark and dismal planet who insists on making excellent tea at a great price. A tong of these little Van Helsings is just $100. If you're looking to bolster your shelves, this is good bolsterin'. Oh, maths jokes, you so funny. I have recently wailed like a banshee concerning the large multiple of prices for unaged tea, with respect to price even from last year. Rather than just blub like a schoolgirl, I thought I'd do something constructive offer some alternatives. 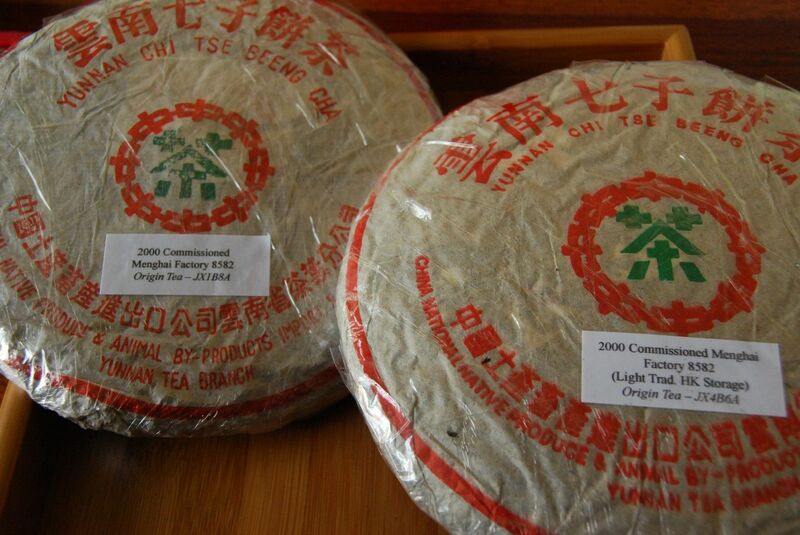 Actually, that stated, these particular alternatives are no longer available because Origin Tea has ceased trading. The principle remains, however! It is insufficient merely to whine about the world - suggestions for its improvement must be offered. 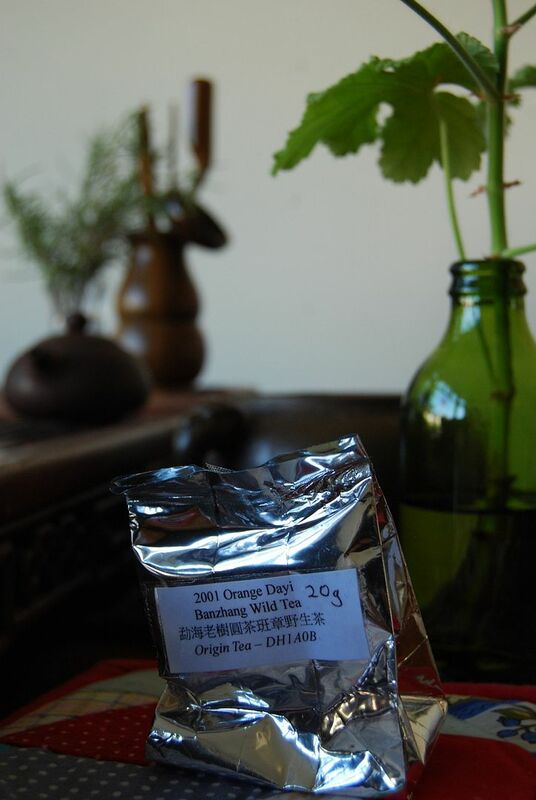 I don't know much about Origin Tea, but I gather that it is held in high regard. 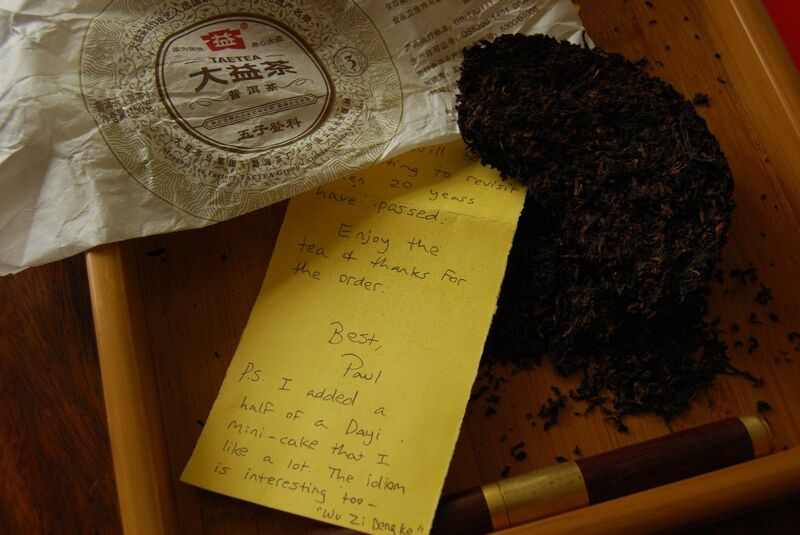 Paul, of white2tea, speaks very highly of him, as does THE JAKUB, which was good enough for me. These cakes were all blindly acquired, believe it or not, on the recommendation of TG, my teachum from back home in the Old Country, "where men are men and where pigs are afraid". TG has opinions that are mighty, and therefore I crumble before them, unable to resist, merely able to point my browser wherever his decree suggests. 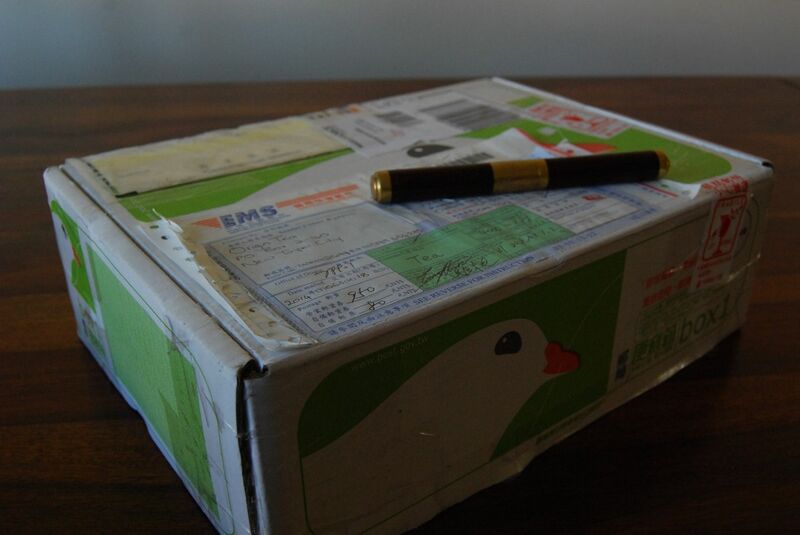 It's a white wrapper, and it claims to be "mid 90s" Hongyin [red mark], which may or may not be true. What I do know is that this cake is unto mine tastebuds as a detonator cap is unto trinitrotoluene. This cake weighed in at £63. Sixty-three. Three-score and three. Now, take a deep breath and compare that to the prices for unaged cakes of the like that we have been drinking lately. I am not saying that this cake has great gushu material, as do modern cakes from discerning vendors. What I am saying, however, is that this cake slices like a ninja and cuts like a razorblade (in the words of that Daoist monk from the 1990s, Vanilla Ice). Those of you with functioning one or more function oculus orbis will notice a little cheeky frosting on the cake. These are not the droids you're looking for - move along. I am totally ready for this cake to be a fake, but I know it's going to decent because TG likes it. The leaves, apart from that bijou frosting, are big and dark. My internal magic 8-ball is currently reading "ALL SIGNS POINT TO YES". I like nothing more than a tea that plays hard-to-get, and which takes a few infusions to get into its stride. That always suggests to me that there is some serious content locked into the leaves, such that aging wouldn't strip it of its heart and soul. Sure enough, this cake takes two or three infusions to reach combat speed. By the fourth infusion, it has locked s-foils in attack formation. Dark, almost burgundy, this is really rather disco. I appreciate its substantial heaviness, which arrives on the tongue like a Heaviside step function. Zoink. Heavy tea, straight away. 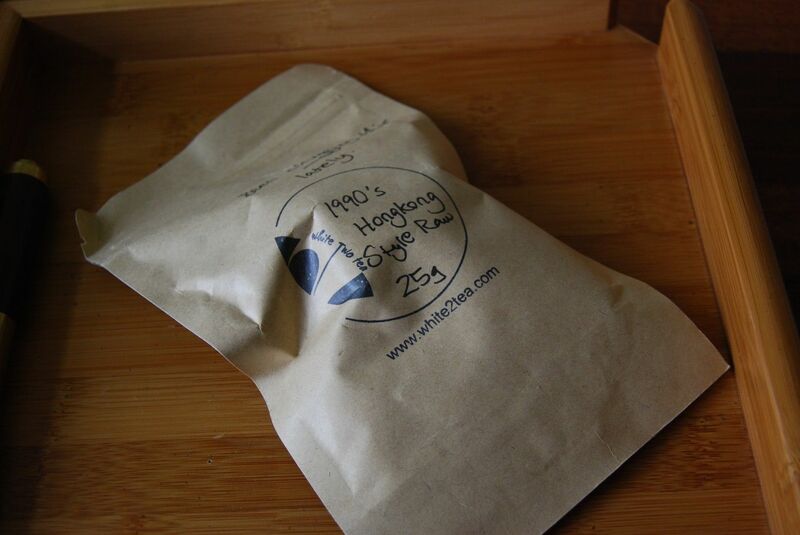 Its sweetness endures, seemingly forever, although its "flavour" is subdued. 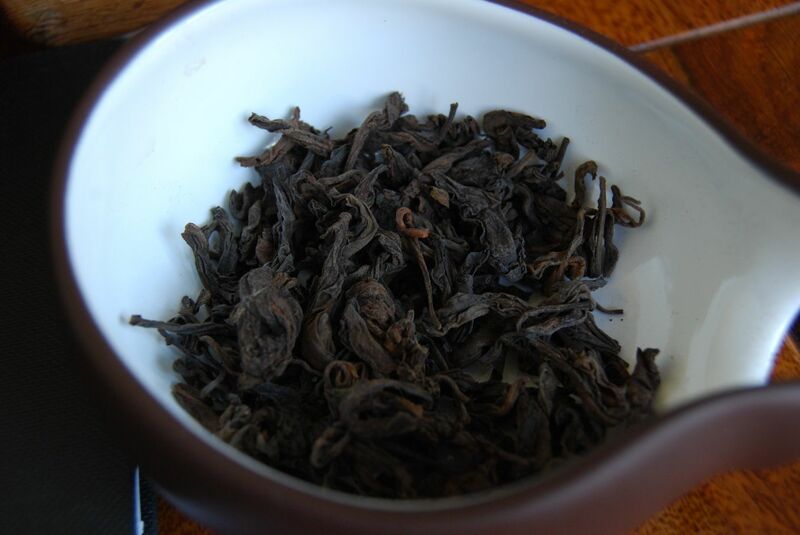 I'm OK with subdued flavour, as any chaqi pseudospoon will tell you. Vibrant, soft, and full, this is a hugely fun tea. A father of two, I don't get out much these days, and a one-on-one combat session of this nature at the teatable is definitely up there in my "thrills" category. By the fifth infusion, it tires, but that's fine. It is, let me iterate, sixty-three pounds. Peek ye at these little chaps. 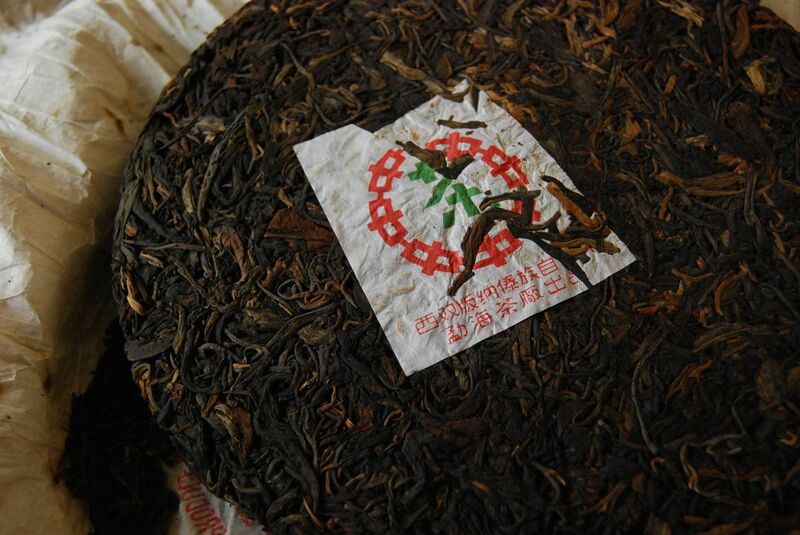 We will start with the underbing, which is a bit more towards the dry end of storage; well, Taiwanese "dry", anyway. Taiwan "dry" is not quite as terrifying as Beijing "dry". Commissioned! That means "nice", does it not? Above, we see the standard green-label Zhongcha clothing. I have, as you may recall, Gentle Reader, been converted to 8582. It was not a difficult conversion, it must be said, and now I tend to welcome its long-leaf charms to my table on a regular basis. Pictured above and below, this "commissioned" version may be seen to be packing particularly nice leaves. We have Hong Kong-style humidity twanging away in the background, which has been aired by Taiwanese storage. I seem to have consumed almost nothing other than HK-tea-aired-out-in-Taiwan, lately, what with Origin and Teaclassico selling cakes from this (entirely delicious) subgenre. The image above is from, I think, the second infusion - and which tells you probably all you need to know about this 8582. It's good. There is dense sweetness, and it has the heavy mahogany-upholstered flavour of properly-done 8582. I know that this cake isn't going to win any prizes for exquisite complexity but, does it need to do so? This cake costs, and I chuckle as I write this, £65. I would take this literally any day of the week (even Monday) over something unaged for 2x to 3x the price. Why take the risk? Let us turn our hearts and minds unto the moderately more humid of the pair. "Light traditional HK storage" sayeth the label. "Rank Cantonese sweatbox" might be more appropriate. However, some of us happen to like our Cantonese sweatboxes somewhat rank, and so this one certainly satisfies that criterion. Again, the leaves are bigger and badder and rougher and tougher, as pictured above. Again, this cake needs a few infusions to shake of its hangover and get its act together. I sympathise. In the throat, this one endures well. 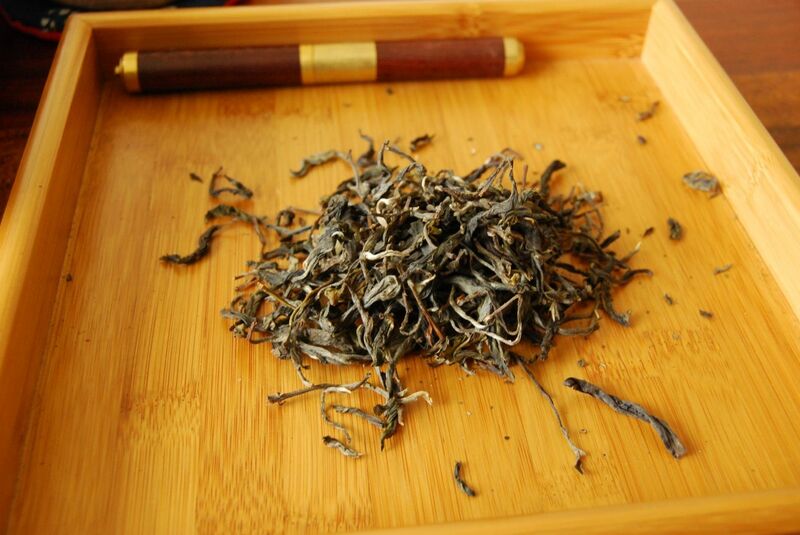 It is long, old Menghai from top to bottom, and it makes the tip of my tongue tingle. Some people pay good money for a bit of tongue-tingling. There is not a huge amount of "body flavour" to be had in this fine fellow, for it has traded its soul in the HK storage zone, but the throaty sweetness is well-developed and grips the base of the tongue. Again, some people pay good money for tongue-base-grippage. Now chortling like Evil Tentacle (from Day of the Tentacle), I recount the price of just 65 English pounds. 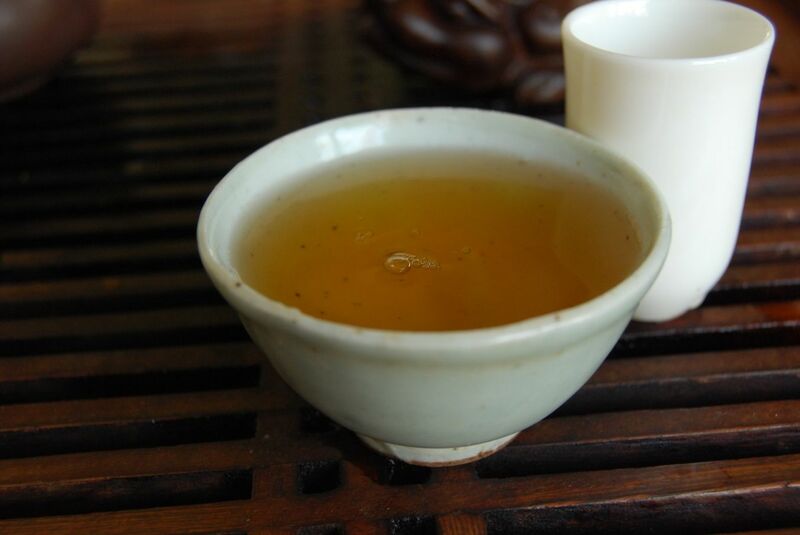 This tea lasts forever, I seem to have recorded, and I found its trad Menghai charms to be entirely calming. While good old (0,0,0)^T may no longer be trading pu'ercha, such experiences give me hope that the future need not be dominated by extraordinarily overpriced unaged cakes. Indeed, I have not bought the latter for some years, as a point of principle. When good cakes such as these exist, I am more than happy.